Charles C. Newton, president and treasurer of the Newton Machine Tool Works, Inc., Philadelphia, Pa., died at Bremen, Germany, on June 13. Mr. Newton had not been in good health and went abroad to seek relief at the baths at Bad, Nauheim, Germany, but was too ill to continue his travel after his arrival at Bremen. Mr. Newton held an enviable position in the business and engineering world through his ability as a designer of machine tools and the success of the firm of which he was the founder. His designs have been characterized by originality and he was a pioneer in the development of cold sawing machines for metal and later on, portable floor plate machines now used so extensively in heavy machine work. He was born at Cambridge, N. Y., in 1846. At nineteen he indentured himself as apprentice to the Brooks Locomotive Works, Dunkirk, N. Y., spending most of his time in the tool room. After serving his apprenticeship and working in various shops, Mr. Newton returned to Dunkirk in 1875, and in partnership with J. D. Cox manufactured twist drills, reamers, cutters, etc. In 1876 the firm moved to Cleveland, O., operating under the firm name of Newton & Cox. In 1880 Mr. Newton sold out his interest to Mr. Cox, who formed out of the old firm the Cleveland Twist Drill Co. Removing to Philadelphia, Mr. Newton laid the foundation for the present Newton Machine Tool Works, Inc., in a little shop at 2341 and 2343 Callowhill Street, with only himself and an assistant as the working force. In this shop he designed the first heavy railroad tools, and as the demand grew for his various designs, he was forced to seek larger quarters. In the fall of 1886 he built a new shop at the corner of 24th and Wood streets and there designed the first successful machines for sawing metal cold, and also a large number of new tools, for which he took out patents. As this shop soon became too small, Mr. Newton built in August, 1895, the first part of the present shop on the corner of 24th and Vine streets, which he has since increased to take in the entire square bounded by 23d, 24th, Vine and Wood streets. 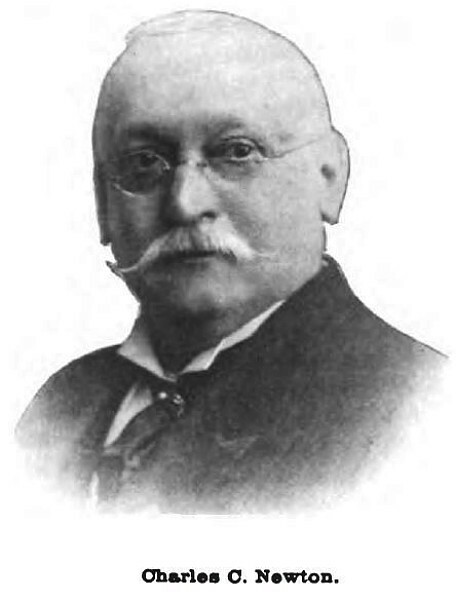 Mr. Newton was the sole proprietor of the works until July 14, 1897, when articles of incorporation were taken out, not with a view of increasing the capital, but as a business move, and the firm became the Newton Machine Tool Works Inc., with Mr. Newton as president and treasurer. Mr. Newton was a member of the Engineers' Club, American Society of Mechanical Engineers, the Art Club of Philadelphia, and the Athletic Club of Philadelphia.